It’s becoming more and more clear that LG is behind the Nexus 5, especially judging by the latest leaks and information we’ve come across. Now Reddit user Vovicon came up with a render to sum up all the info and leaks we’ve seen so far, including the one in the Android KitKat video. He combined the dimensions and shape from the FCC filing (the Nexus 5 was spotted at the FCC), with the ones from the video. The designer also tried not to add anything extra and guessed the screen ratio and position, as well as the bezel and sides. 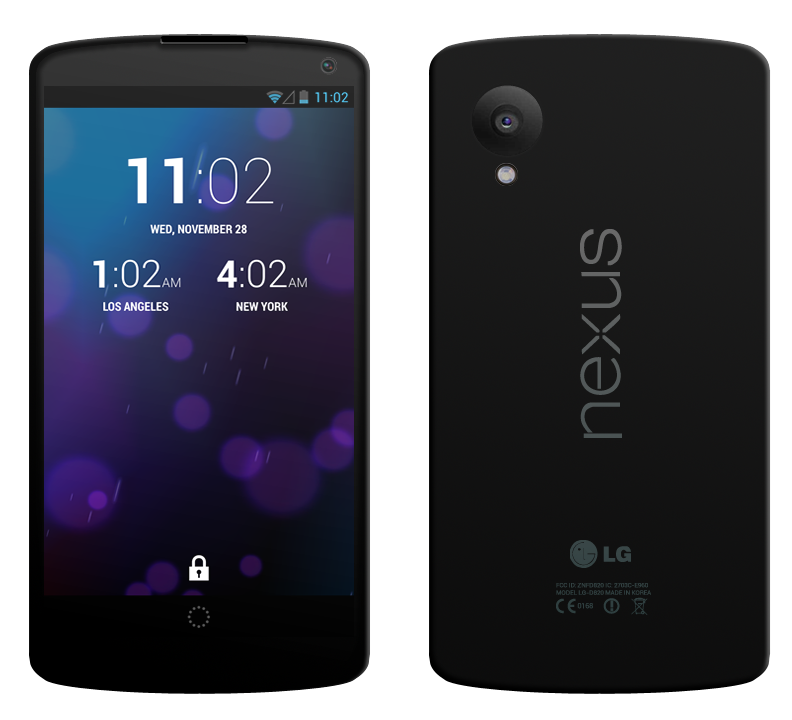 Overall, this Nexus 5 concept resembles the Nexus 4 quite a bit, especially the front side. The back is original, especially the camera area and the Nexus logo written horizontally, like in the KitKat clip. 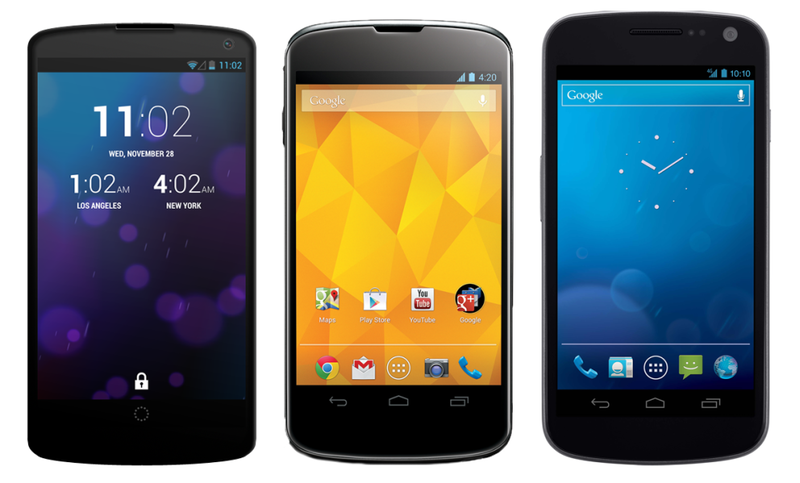 For the sake of comparison we also see the Nexus 5 side by side with the Nexus 4 and Galaxy Nexus, shown below. To me, the Nexus 5 seems wide and less rounded than the Nexus 4, so the screen may be a 5 incher or 5.2 incher as rumored.